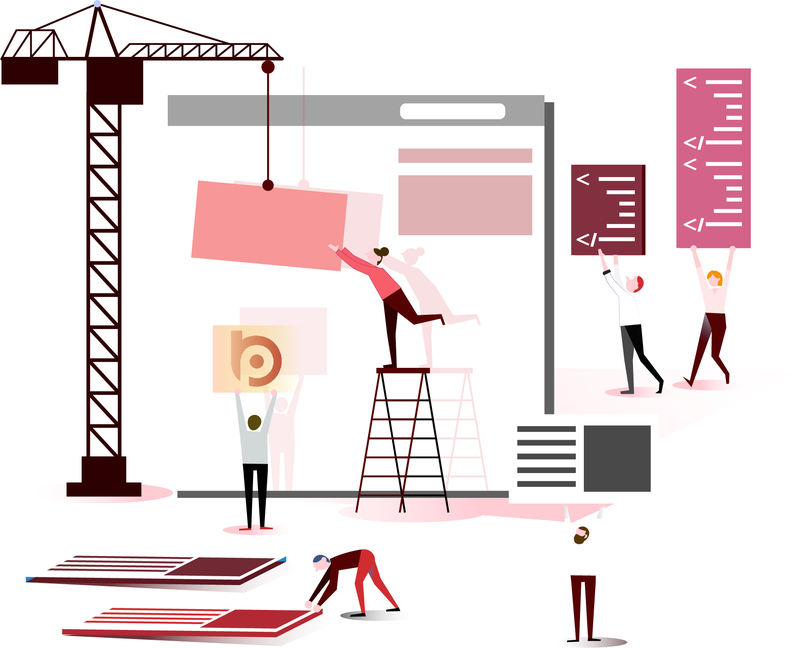 Building a website in 2019 is easier than ever before and even those with very limited I.T skills can create something that looks and feel professional. Professional web designers can often be expensive and though most of them can provide a great service, this doesn’t usually come cheap. If like many people, you are feeling the pinch and need to a save a little money when it comes to business expenditures, you could consider using one of the numerous free website builders that are available as an alternative to hiring a freelancer or contractor. This guide explains some of the free web building software that is currently available free of charge. With a little perseverance and a few well-worded searches, you can be well on your way to creating a good quality website that establishes your presence online. Probably the most well known free website builder in the world, WordPress is simple, intuitive and for the most part, absolutely free to use. There are some themes and plugins that will cost a little extra, but the vast majority of people, especially those who are just starting out with a small business or a start-up, the basic, free packages are more than adequate. There are many positives to WordPress and very few downsides. 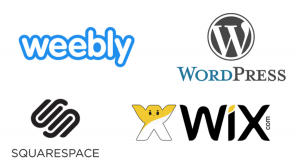 Choosing from around 50’000 plugins, most of which are totally free, means you can create a slick, professional looking site in a matter of hours. The simple, blog-based interface allows you to enter blocks of text, images and even videos with relative ease, so it’s possible to get the basics of your website up and running in just one session. This is great news for anybody who struggles to find the time to invest on the digital side of their business. Though there aren’t many downsides to consider, some users do find WordPress a little slow in terms of loading times. It can also be awkward to update the various free themes and plugins on a regular basis, though most premium options do this automatically. Overall, there are very few things to criticise about WordPress and with enough practice, almost anybody can create a website that looks and feels professional. For users who want the minimum of fuss but still value the aesthetics of their site, Squarespace is a great choice. There are several templates that are ready to go and simply require you to change the headings and body text of each page. This really does take the stress and hassle out of building a website and is ideally suited for businesses that use images to promote their products or services. The “back end” or admin section is simple to learn and most people find they can get to grips with it in a matter of minutes, rather than weeks. One of the most appealing features of this site is that everything is offered in one package. Though hosting is not free, it is very competitive and for people who want to get up and running quickly, the packages on offer here also provide security and other features that mean you don’t have to keep track of multiple service providers. The only real downside to Squarespace is that it can be a little too simple for some people who want a website with more advanced graphical or interactive features. Third party apps and extensions are unsupported, too, which may not a problem for basic users, but those with more specific needs might find this frustrating. 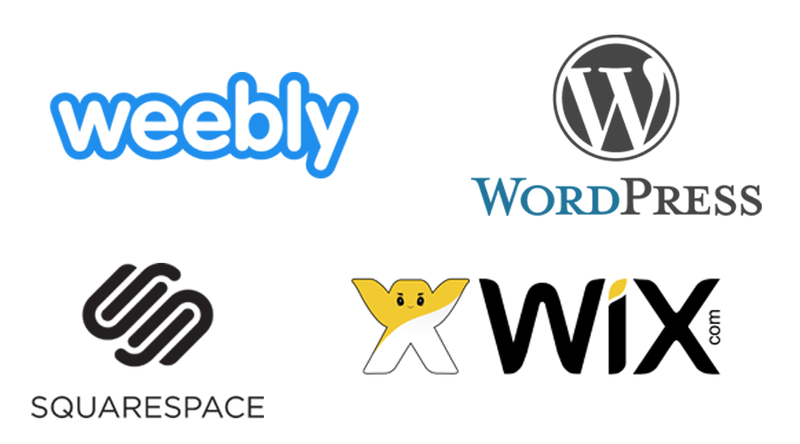 For real simplicity and ease of use, Wix is one of the very best options out there. It doesn’t offer much in the way of customisable extras, but this platform is really aimed at businesses and individuals who need the absolute basics. One of the main criticisms of Wix is that it can be a little too simple for those who really want to get to grips with the look and feel of their site. The free version does do everything you would expect from a basic website, but you will need to contend with adverts and certain restrictions such as fixed themes. On the positive side, there are over 250 free themes available in the free version of Wix, so unless you have something very specific in mind, the chances are you will be able to find something that’s suitable. The simple drag and drop interface means that even absolute beginners can put together a more than passable website relatively quickly and you can browse the app marketplace for a selection of additional extras, many of which are totally free. As you would expect, some of the more advanced add ons are not free, but for absolute beginners who simply need to establish themselves online, this is a cheap and even potentially free option that won’t take up too much of your time. Duda is a relative newcomer and offers the same kind of simple drag and drop interface as something like Wix or Squarespace. Free users can expect adverts and limited features, as you would expect, but for a fairly reasonable subscription fee, you can enjoy total control over your site and the option to customise many of the elements on the page without having to pay any extra. 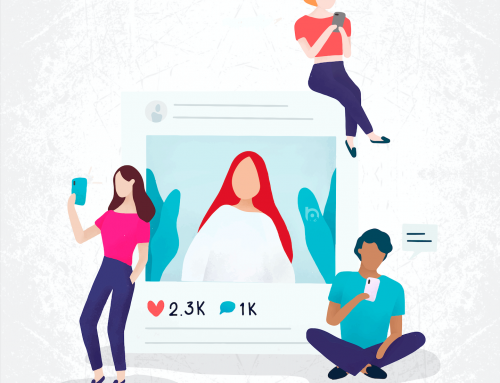 One of the main plus points of Duda is that it can be easily integrated into social media, so Facebook, Instagram and Twitter accounts can all be linked together simply. This means you can manage your online presence, all in one place. This is a great time-saving feature. Another great advantage of this platform is that unlike some other providers, Duda offers you unlimited websites from just one account. This allows business owners with multiple enterprises to access all of their sites from one place. Though some of the more advanced features can require you to sign up for priced service plans, this is another great starter option for those who are still finding their feet when it comes to digital marketing.